Outsourcing saves money as many service providers networks are able and prepared perform the responsibilities at low prices. 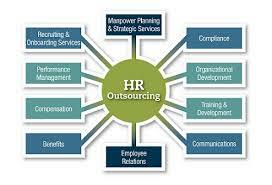 Outsourcing enables companies to focus on their focal sensible areas. Human resource outsourcing is now increasingly popular, particularly for employee data organization and payroll computation. However, many organizations would rather handle recruitments in addition to termination of worker locally. An external organization handling it may not understand the internal requirements of the organization. However, the main drawback with human resource outsourcing functions is that there is no personal contact between employees and the human resource team.